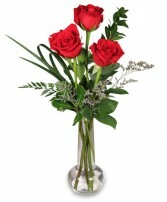 Show your Valentine lots of love this year with Mayfield Flowers Exclusive True Love Collection. 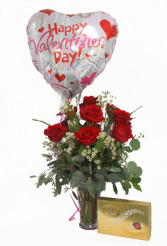 Package includes a dozen red roses custom designed in a vase, a box of delicious chocolates, a cuddly Teddy Bear and a "Happy Valentine's Day balloon! Mayfield Flowers Exclusive Be Mine Collection. 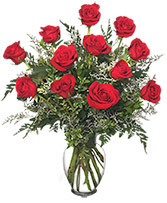 Package includes a dozen roses custom designed in a vase, a box of delicious chocolates, and a "Happy Valentine's Day" or a "Happy Birthday" or "Happy Anniversary" balloon.